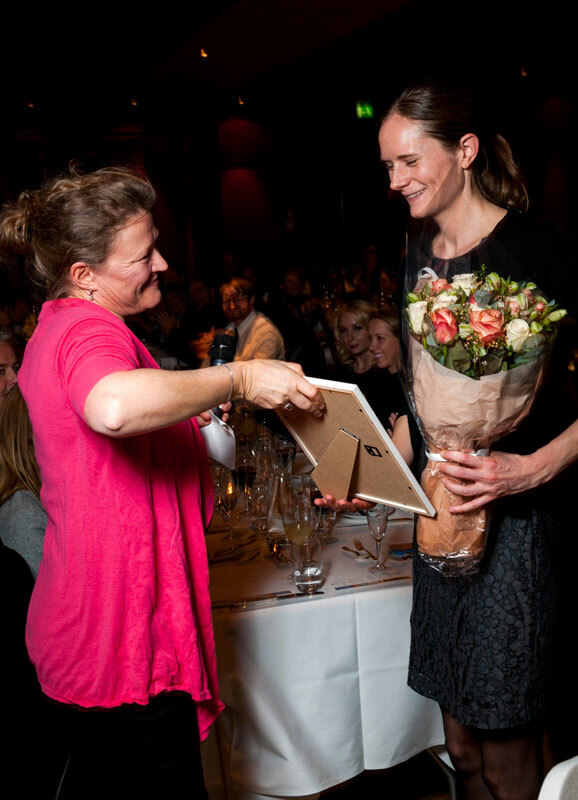 Dr. Anita Sveen from Ragnhild Lothe's group at the Department of Molecular Oncology received the Young Investigator prize at Onkologisk Forum for her research accomplishments. This annual meeting for oncologists took place in Oslo on November 16-17. 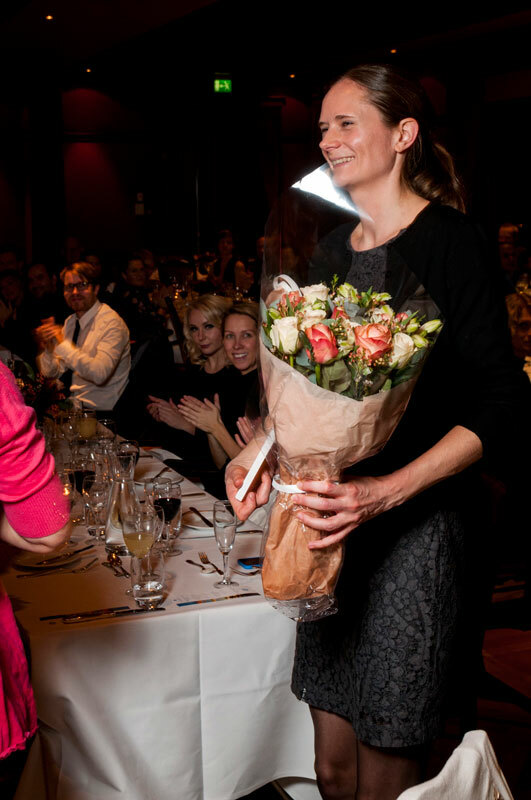 The award amounts to 50.000 NOK, to be spent on research. Sveen presented her research in computational oncology, focusing on clinical relevant questions for colorectal cancer and novel results published in 6 selected papers. 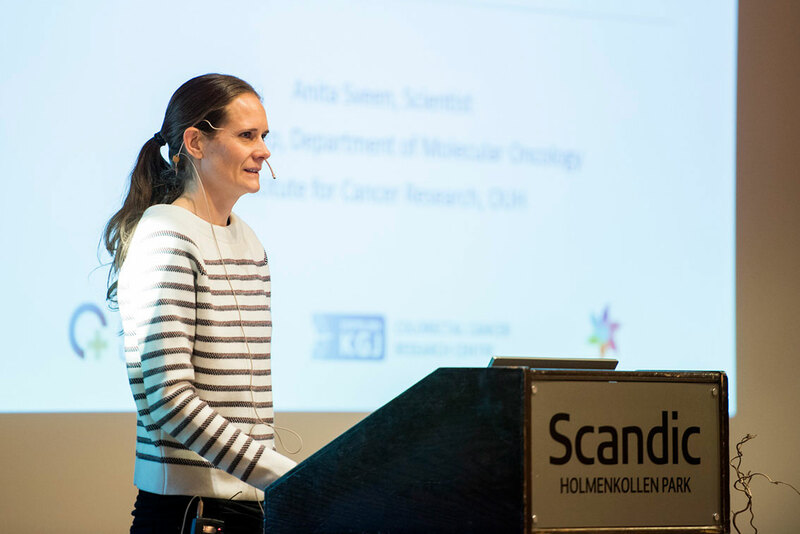 Anita Sveen's research focus is on computational oncology of colorectal cancer, involving multi-level genomic analyses of primary and metastatic cancers in translational research projects. By integration of genomic data at different levels, the aim is to determine the clinical importance of tumor heterogeneity, both with respect to prognostic assessment of the patients and prediction of treatment response. Current research projects include analyses of tumor heterogeneity within and among tumors from individual patients, during metastatic progression, as well as within the biologically distinct subgroups of colorectal cancer. Sveen, Bruun et al., Clinic Cancer Res, in press accepted last week.